Modified 600bhp Subaru WRX STI built by Prodrive and driven by local hero Mark Higgins sets a new Isle of Man TT car lap record, hitting top speeds of about 170mph around the 37. 73-mile circuit. Higgins has now lapped the course in 17min 35.139sec, at an average of 128.730mph. 2018 Subaru Wrx And Wrx Sti – The Last Of Last? Subaru Sets A Ring Lap Record For Four-door Sedan! Video: Motorcycle Racer - Best Save Ever At 150+ Mph - And Ian Hutchinson's Insane Crash! 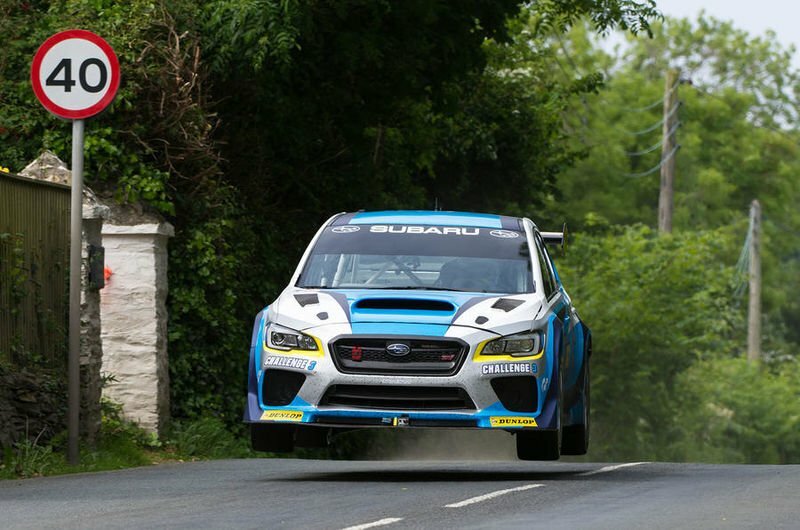 Video: 2016 Subaru Wrx Sti Isle Of Man Tt -- Flat Out On-board Footage! Video: Nitrous Filled Subaru Forester Lines Up Against A Nissan Skyline R34 Gt-r. Who Wins?